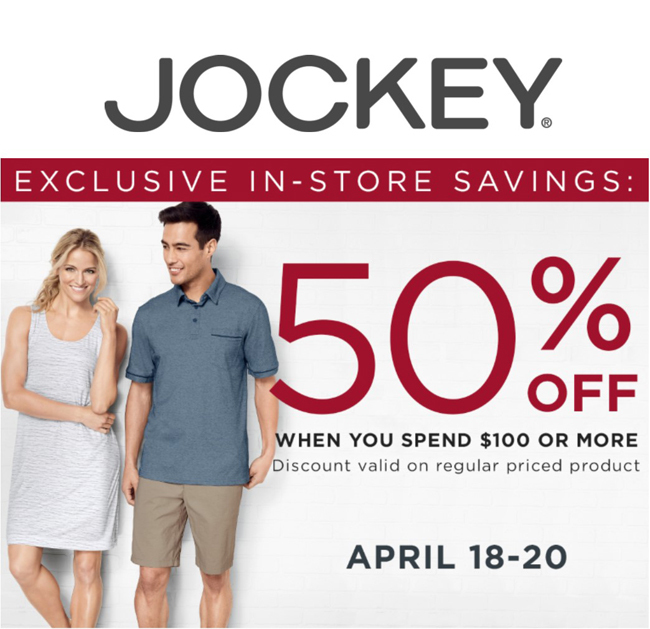 Today Jockey International, Inc. is active in more than 120 countries, marketing underwear, socks, thermals, sleepwear, activewear, sportswear, lounge wear, men’s, women’s and children’s ranges. Our ongoing mission is to continue to push boundaries to deliver the experience and excitement that life enthusiasts expect from one of the world’s best-loved and most-recognized brands – Jockey. *Excludes clearance. Purchases under $100 do not qualify for any additional discounts. 50% off savings may not be combined with other coupons. See associate for details.